Luisa Moreno: Is It Time to Call Bottom in Rare Earth Metals Markets? Luisa Moreno: Is It Time to Call a Bottom in Rare Earth Metals Markets? The worst is over, postulates Luisa Moreno. But is modest appreciation in rare earth stocks a symptom of across-the-board improvement in equities, or have fundamentals in the space changed for the better? To tackle these questions, the Euro Pacific Canada analyst gets elbow-deep in metallurgical data. 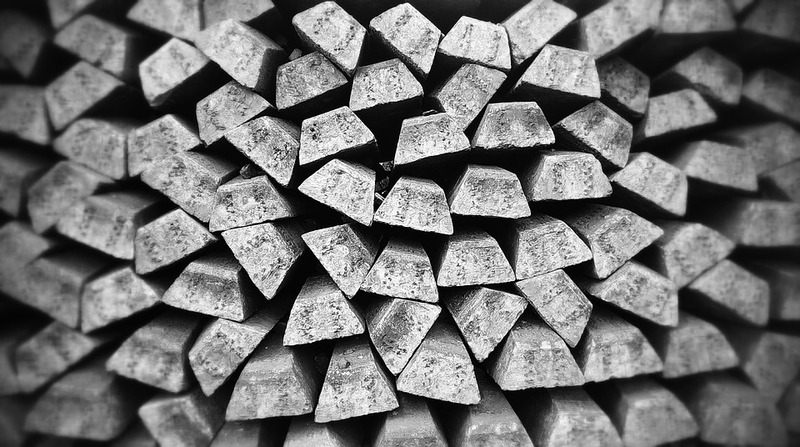 In this exclusive interview with The Critical Metals Report, Moreno lends her razor-sharp analysis to determine the frontrunners as metals prices stabilize. The Critical Metals Report: Luisa, the share prices of a number of leading companies in the rare earth elements (REEs) space have started to trend upward again. Where is the sector headed in 2013? Luisa Moreno: Brian, it is likely that we have seen a bottom for these stocks. I'm not sure that it necessarily has to do with developments in the REE space, however. It is much broader than that. Overall, there is somewhat better performance in the equities market, including the commodities and REEs. However, I believe that REE prices will continue to go down, which is a positive event because some end users had to find less efficient alternatives when prices were very high. Recent news out of China indicated that the price of didymium, which is praseodymium and neodymium together, is trending lower. The light rare earth elements (LREEs) are especially likely to fall flatter as Lynas Corp. (LYC:ASX) and Molycorp Inc. (MCP:NYSE) come into production. And as LREEs continue to fall, prices for heavy rare earth elements (HREEs) will likely stabilize. That will be an important development for junior companies in this space. They will have a much clearer idea of the economics of the projects. TCMR: What's Euro Pacific's investment thesis when it comes to these companies? LM: Euro Pacific has a great deal of focus on strategic metals. We believe that they are and will continue to be important. 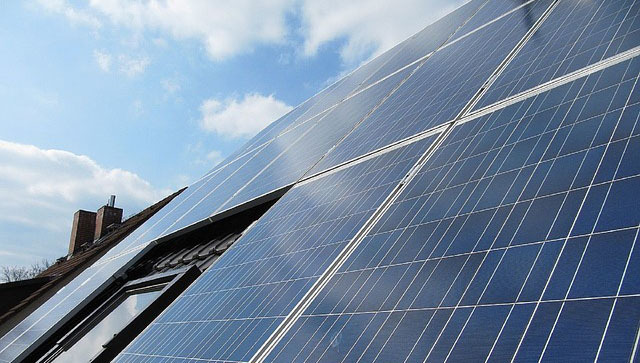 Because REE prices were so high last year, some end users were forced to find less efficient alternatives, but there are many avid applications where the price of the elements is not as important and substitutes are very hard to find. The end users are not going anywhere, and neither is the REE story. Going forward, it will be important to have sustainable supplies of these elements. TCMR: You recently produced a report titled "Who's the Heaviest?," where you try to clear up some of the misconceptions about Molycorp and its ability to process heavy rare earths (HREEs) at Mountain Pass. Can you share your bullet points with our readers? LM: There is not a significant amount of HREEs at Mountain Pass. It does have HREEs, because rare earths occur all together, so when you find LREEs, you'll find the HREEs as well, and vice versa. The proportions in which they occur can vary from location to location, however. Molycorp has a high-grade deposit. Proven reserves' grade is 8.5% TREO, which is significantly high compared to others. Most of that is LREEs, however. It has a very small grade and percentage of HREEs, and that's why some people in the REEs space were very surprised when they heard Molycorp was planning to separate it. It is able to separate samarium, europium, gadolinium (SEG) and all the HREEs from its top-four elements, which are lanthanum, cerium, praseodymium and neodymium. It ends up with a HREE concentrate, which is also known as the SEG stream. This SEG stream usually comes from light deposits because it has a very small percentage of the heavies, and it is not economic for them to focus on that small percentage of elements. Molycorp is planning to produce 19,500 tons (t)/year, but it's only going to produce a SEG stream that is 254 t. Most of that is samarium. It's about 1.3% of everything that it's producing. TCMR: How will falling LREE prices affect Molycorp? LM: Molycorp has a mine-to-magnet strategy, meaning it wants to vertically integrate and potentially use everything it produces to transform it into metal, alloys and, ultimately magnets and other engineering products. If it is successful in allocating internally all or most of its mine production, it probably is not going to be affected that much. But I believe it is not yet there. To the extent that it does not fully consume all of its production, it will be hit by the fall in prices. TCMR: Let's get into the deposits a little bit. Critical metals expert Jack Lifton recently told The Critical Metals Report that many investors do not understand that 50% of the concentration at the average REE deposit is not worth anything. The composition of the ore matters more than the grade. Would you agree? LM: Yes I agree. Molycorp, for instance, has all the light and heavy elements, but the heavy elements, including samarium, are only 1.3% of the yield. Jack was probably trying to explain that it is important to not just look at the grade. A company may have a very high grade, but if more than 50% of what it's selling will end up being priced at, say, $10/kilogram (kg), how material is it if only a tiny portion of the output is worth $1,000/kg or higher? Project economics are highly affected by the composition of the ore. In my report, I introduced a table (below) that shows the potential production per ton of total rare earths produced for a number of companies. Because the rare earths are all recovered at the same time, it is not the grade but ultimately the average proportion of each element that determines how much of each element is produced per ton of output. 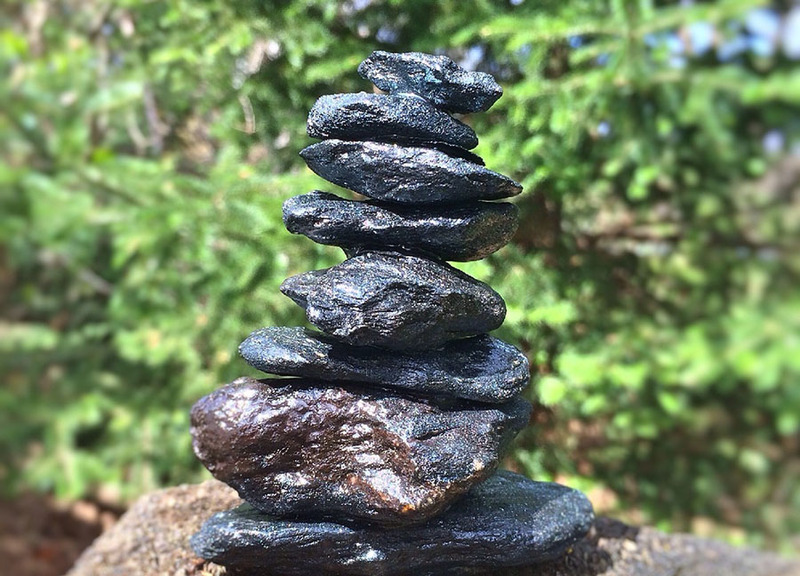 TCMR: If half the material at an average REE deposit is not worth much, does that make it difficult to calculate a project's net present value (NPV)? LM: It's definitely more complex than modeling a simple gold project, as various products have to be taken into account. Analysts usually break down a deposit based on a company's rare earths distribution. We want to know how much of each element the company could extract, and we calculate the total potential production per element. Most of us actually tend to assume that some of the elements that occur in very small percentages are not separated. We give zero value to those, which are usually erbium, thulium, holmium, ytterbium and lutetium. When we do an NPV, we're basically forecasting the production and prices for several elements, assuming that several elements are recovered and each will have its own price and its own volume. Determining the NPV is a complex process, and the fact that half the ore or more may have low value, is indeed taken into account in our calculations. Also important are the recovery rates, production costs and capex, which are also included in our forecasts. 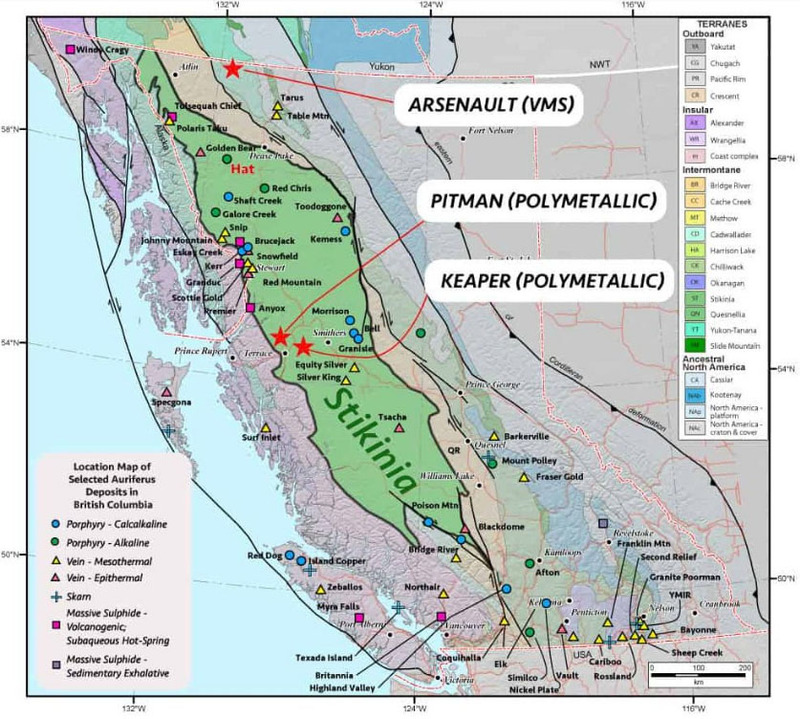 TCMR: Ucore Rare Metals Inc. (UCU:TSX.V; UURAF:OTCQX) recently announced that it is able to take uranium and thorium out of its processed ore at its mine in Alaska. Is that meaningful to investors? LM: It is very meaningful. Most projects, if not all, will have concentrations of uranium and thorium that they will have to deal with. They need to find a safe way of extracting the uranium and thorium, storing it and disposing of it. It's good that Ucore is talking about it and educating investors about the amount of uranium and thorium it has in its deposit and how it can be extracted. And the company is taking it into account as it develops its preliminary economic assessment (PEA) report and analysis. Hopefully, we will better understand what the costs are for the handling and storage of these elements as Ucore completes its economic study. Depending on how you look at which are the heaviest or which are the most valuable, they all rank differently, but Ucore's Bokan is well positioned. It has the second-highest grade for dysprosium and a favorable HREE distribution, according to my analysis. TCMR: Ucore has also announced that it has had success separating these elements with a type of processing technology called solid-phase extraction. Some scale tests have been done so far. Tell us about that. LM: Ucore is working with a group from Stanford University, which has technology that was mainly used in biotechnology applications. Its nanomembranes are able to filter some elements and let others go. It gets rid of some of the impurities, like iron, uranium and thorium, in two or three steps. In the following step, they change the chemistry of the membrane and it's able to recover the REEs. It seems that it actually can go through several interactions and recover individual elements and refine them. We don't know the economics at this stage, but it's unique. It's very exciting for Ucore. We think it is the only REE group trying this, and it has observed very interesting results. As Ucore puts together the PEA, we will definitely learn more about it. TCMR: Could other companies that are having some difficulty with their metallurgy be able to mimic what Ucore is doing? LM: Hopefully, yes. If Ucore is successful, others should be able to do it as well. It could be a positive development in the REE space across the board. TCMR: Of the short number of HREE-weighted deposits that you chose, you say Namibia Rare Earths Inc. (NRE:TSX) is the heaviest, followed by Tasman Metals Ltd. (TSM:TSX.V; TAS:NYSE.MKT; TASXF:OTCPK; T61:FSE) and Quest Rare Minerals Ltd. (QRM:TSX; QRM:NYSE.MKT), Ucore, Matamec Explorations Inc. (MAT:TSX.V; MRHEF:OTCQX) and Avalon Rare Metals Inc. (AVL:TSX; AVL:NYSE; AVARF:OTCQX). Can you expand on your system of evaluation? LM: It is actually fairly simple. We define heavy deposits as those that have a higher percentage of HREEs relative to the total elements. It is important to understand that REEs occur together and are recovered and first concentrated all together. It is not possible to produce a mineral concentrate rich in only one rare earth element. Furthermore, rare earths are first recovered as a mixed rare earth chloride, or oxide concentrate, and only after are they individually extracted. Thus, companies that could produce a mixed rare earth concentrate rich in HREEs would be able to produce more heavy rare earths per ton of output. And those are the ones we consider the "heaviest." The ranking considers europium all the way to lutetium and yttrium but does not take into account recovery rates, which are actually a very important factor in project economics. If you look at one of the tables included in the report, Great Western Minerals Group Ltd. (GWG:TSX.V; GWMGF:OTCQX) has a total grade of 18.74%. But the cerium grade alone is 8.5%, lanthanum is 3.96% and it has only about 8% HREO/TREO. Thus, although Great Western has a very high-grade deposit, it won't be able to produce more heavies per ton than, for instance, Tasman or Quest, which have total grades of less than 1%. One company that actually gives a good description of all the grades is Lynas, which has a total grade of 7.96%—with 3.62% of cerium alone. Its dysprosium grade is 0.038%. That is very similar to Quest, which has 0.034%. Quest's total grade is only 0.93%. An important point is that if you look at the heavy grades, they are actually very comparable across companies. At the bottom, Molycorp's grade for the heavies is the smallest, at 0.03%. Although the total grade is very high, the total grade for the heavies is 0.03%, compared with Tasman Metals, which is much higher at 0.29%. As I pointed out, Tasman's rare earth distribution is considerably more favorable toward the most critical and heavy elements. TCMR: Rare Element Resources Ltd. (RES:TSX; REE:NYSE.MKT) has a large secondary REE deposit near its flagship Bear Lodge property in Wyoming, which has the highest concentration of europium and the largest overall reserve of dysprosium in the continental U.S. What is Rare Element Resources' plan for that deposit? LM: The company is committed to explore and potentially develop this deposit so it can bring more value to its REE assets. My understanding from my conversations with management is that it will continue working on the various deposits in due time. 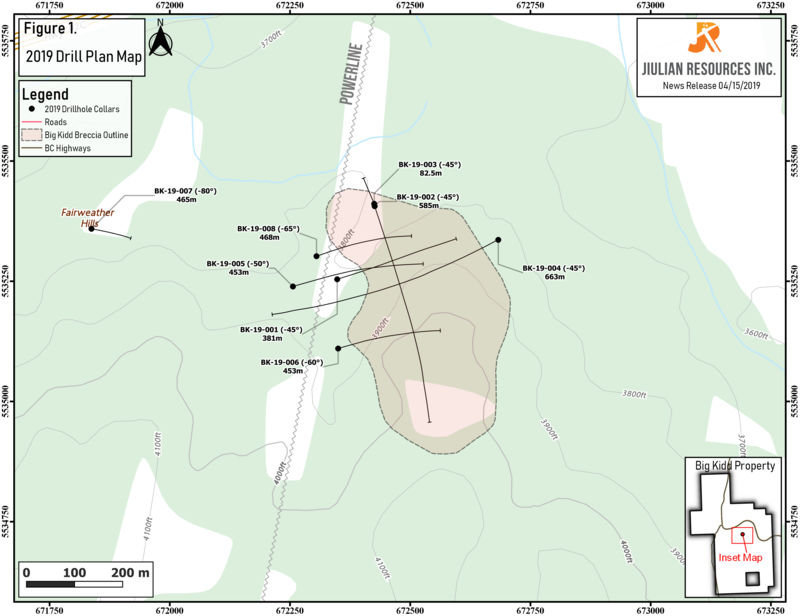 The Bull Hill deposit on the Bear Lodge property is its main focus. However, it is drilling the other deposits at Bear Lodge to determine their value. TCMR: What's the approximate timeline for production? LM: Based on the work Rare Element has been doing at Bull Hill, it is targeting 2015. It is one of the most developed projects. I visited its pilot plant. It completed a prefeasibility study and is progressing toward a definitive feasibility study. It is planning to complete that by the summer of 2013. Once it completes the bankable feasibility study, Rare Element should be able to be in good shape to start attracting end users and determine its path to production. TCMR: Any issues with metallurgy there? LM: The deposit is not identical to Molycorp, but it has good grades and is rich in bastnasite as well. Rare Element has been able to produce a concentrate in its pilot plant, and this concentrate material should be sellable in China. Unfortunately, most of the separation facilities are still in Asia. Those outside China might not have the capacity to absorb additional feedstock concentrate. It could be difficult to allocate a concentrate material out of Wyoming, but the company may have plans to eventually separate individual elements. Having said that, it could potentially sell its SEG stream to Molycorp as well, which is far richer in the critical rare earths elements. TCMR: Wyoming is not a great distance from Mountain Pass. LM: It's definitely closer than China, that's for sure. It would make total sense for Molycorp and Rare Element Resources to work together. Rare Element Resources has far better rare earths distribution for the production of, for instance, europium and dysprosium than Molycorp has, so that could be potentially a good idea for them to come together and build an extended separation facility. That will be really interesting to see. TCMR: Let's talk about Orbite Aluminae Inc. (ORT:TSX; EORBF:OTXQX). It is building a solvent extraction and ion-exchange combination plant as part of a system to produce high-purity alumina to be used in electronics. The plant and process should be finished by the end of the year. 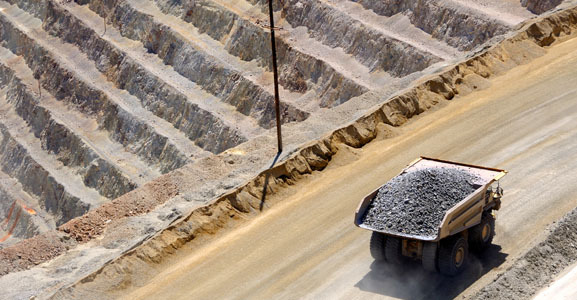 Orbite says it's willing to let other companies process their ore there. What do you make of that move? LM: Orbite has said that it has filed a patent for that process and could help other REE companies that might be facing issues with chemical cracking. It might be very successful in processing it, making a concentrate and then separating it using solvent extraction. My question concerns the economics. It is true that some elements carry higher prices than alumina, such as dysprosium, which is now selling for about $1,200/kg, which is $1.2 million (M)/t compared to alumina, which sells for $320/t. What I am not sure of is if it will be economic to use the Orbite rare earth process for chemical cracking of REE ore as a stand-alone REE plant. Given that most PEAs indicate capital costs of $200–900M, the Orbite process could well be a good alternative. I don't know yet, but it will be interesting to analyze. But to answer your questions—yes, I think Orbite could introduce at the front end of its process higher-grade ore to boost its rare earths output. Transporting the ore, or mineral concentrate, has to be economically viable, though. TCMR: When will Orbite begin processing its own REEs? LM: It should be able to at least produce a byproduct concentrate once its high-purity alumina plant comes on-line in Q1/13. Higher rare earth production is expected however, when the larger-scale, smelter-grade alumina (SGA) plant is built. In the meanwhile, we should be able to visit a fully integrated working plant with Orbite's disruptive technology in less than four months. These will significantly derisk the full-scale SGA plant construction. At Cap-Chat, where Orbite is building its HPA plant, the intermediate, lower-grade material will be produced in a smaller-scale SGA plant with the major acid regeneration systems. This SGA co-plant is similar to the larger-scale SGA plant that is expected to be commissioned in 2014. Orbite doesn't have a solvent extraction plant right now. 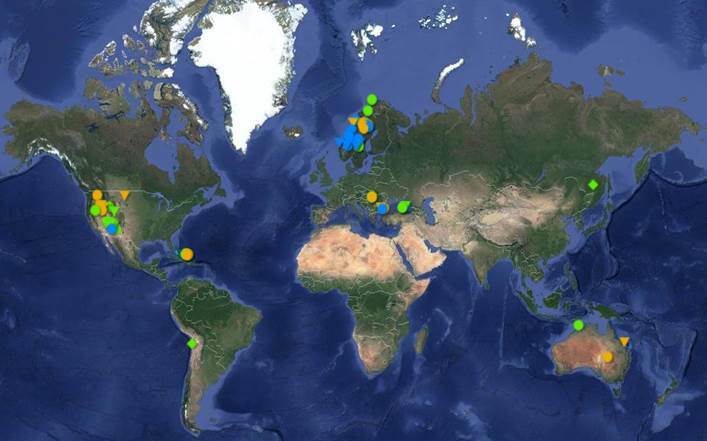 There's a pilot plant in Europe that can refine individual rare earths, I think. Orbite could potentially send REE concentrate there and produce small amounts of refined REOs. Orbite will likely build the first separation facility in North America with the capability of refining HREEs, when the first larger SGA plant is built. TCMR: What kind of advantage does Orbite have in being the only high-purity alumina producer in North America? LM: There would certainly be a geographic advantage as most high-purity alumina comes from China and Japan. Apparently, Orbite does have a potential cost advantage, so it should be able to come into the market with competitive prices. It seems to be able to control a number of important characteristics, such as granule sizes and distribution as well as purity, which indicates that it should be able to create physical consistency in its products. It seems that the lack of product consistency has been an issue for some of the end users of high-purity alumina in North America who currently get these products from China. TCMR: Do you expect to see a round of consolidation in the rare earth industry before everything picks up entirely across the board? LM: I think we may see some consolidation. There are a number of consolidation candidates in Quebec. 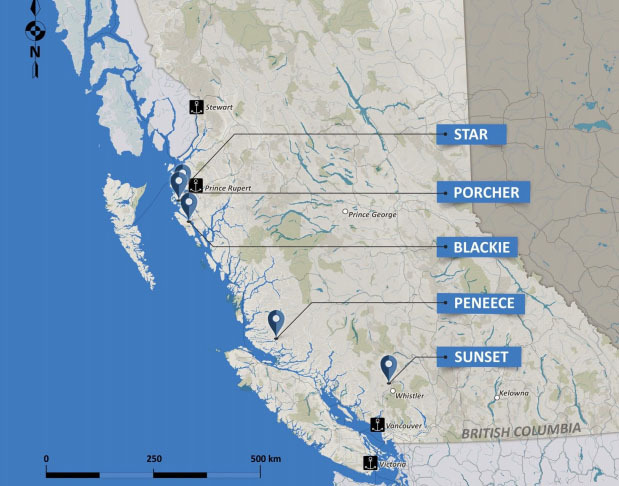 Commerce Resources Corp. (CCE:TSX.V; D7H:FSE; CMRZF:OTCQX) has a very large deposit and favorable distribution with a good percentage of the most critical elements. Quest Rare Elements and Matamec, which now has a deal with Toyota Tsusho Corp. (TYHOF:OTC; 8015:JP), also look promising. With Orbite building a solvent extraction plant, Innovation Metals Corp. (private) also wants to build a separation plant there. Maybe we will see some consolidation or collaboration of some sort between these Quebec companies. In South Africa, there is Great Western as well as Frontier Rare Earths Ltd. (FRO:TSX). Perhaps there will be a collaboration there of some sort. Frontier has a very large deposit, which could potentially complement Great Western's assets. I'm not sure about the relationship between the companies, but geographically they're not far from each other. Also in Africa, there's Montero Mining and Exploration Ltd. (MON:TSX.V) and Namibia Rare Earths. There could be an interesting synergy there for some of these companies with African assets. TCMR: Thank you for sharing your expertise with our readers. LM: It's been a pleasure. Luisa Moreno is a mining and metals analyst. She covers industry metals with a major focus on technology and energy metal companies. She has been a guest speaker on television and at international conferences. Luisa has published reports on rare earths and other critical metals and has been quoted in newspapers and industry blogs. She holds a bachelor's and master's in physics engineering as well as a PhD in materials and mechanics from Imperial College, London. 2) The following companies mentioned in this article are sponsors of The Critical Metals Report: Commerce Resources Corp., Frontier Rare Earths Ltd., Namibia Rare Earths Inc., Rare Element Resources, Tasman Metals Ltd., Ucore Rare Metals Inc., Quest Rare Minerals Ltd. and Orbite Aluminae Inc. Interviews are edited for clarity. 3) Luisa Moreno: I personally and/or my family own shares of the following companies mentioned in this interview: None. I personally and/or my family am paid by the following companies mentioned in this interview: None. I was not paid by Streetwise Reports for participating in this interview.